Staying with us in the Forest of Dean is the perfect opportunity to explore the local area on foot, by bike or by car. There are some fantastic things to see and do in the forest and around the area, and Whitemead guests are entitled to discounted rates at some of the top attractions below. Only an hour away from Whitemead, in the beautiful village of Bourton-on-the-Water, is Boundless’ very own Cotswold Motoring Museum. For adults, it’s a nostalgic trip back to a more romantic age of motoring, but there’s something for the kids too – they’ll love Brum, the little yellow car from the hit BBC TV series. 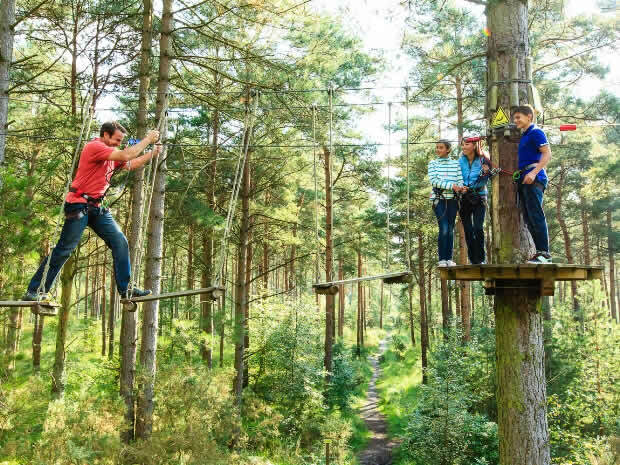 If absorbing the charming sites of the Wye Valley and Forest of Dean isn’t for you, and you fancy something that gets your blood pumping a little more then you’re in luck… Nestled deep within England’s largest oak woodland, awaits hours of high-octane monkey business making for some of the best outdoor activities in Gloucestershire. *Please note T&C's apply, these are on the cards. 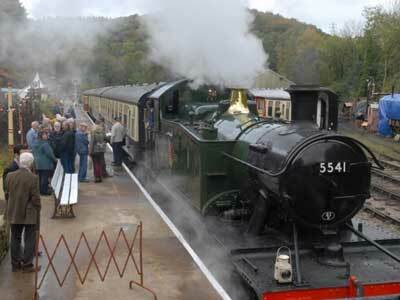 Based just 2 miles from Whitemead, Perrygrove Railway is a great family attraction. Discover a world of treehouses, trains and treasure. There are four stations on the railway, with paths leading to woodland walks. You can enjoy unlimited train rides, high top treehouses and our indoor miniature village. Our treasure hunt is a must! 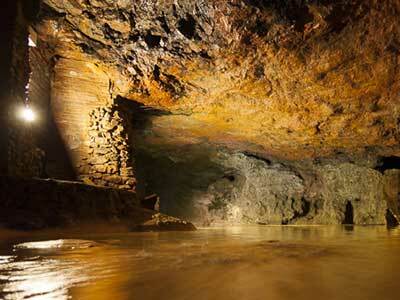 Clearwell is an extensive natural cave system set in a beautiful valley. You can walk through the show caves and mine workings with their exciting displays – iron ore was mined here for over 2000 years until 1945, making Clearwell Caves one of the most complex and ancient mine systems in Britain. Going underground here is a great experience for all the family and an essential part of any visit to the Forest of Dean. Our 4.5-mile line runs through beautiful woodland and countryside and gives you a chance to experience the relaxing pace of a typical country branch line. With our five stations along the way, you’ll have time to explore the local area, taking in woodland walks and country pubs or venturing down to the Severn estuary to explore Lydney Harbour, with its fantastic views across the Severn. 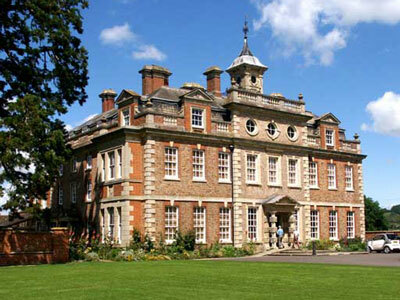 The Dean Heritage Centre is one of Gloucestershire's leading attractions. 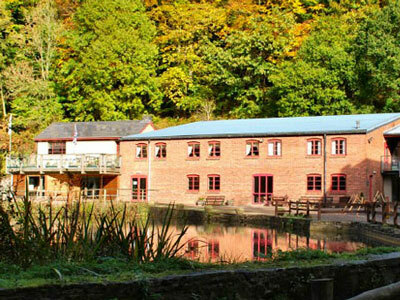 Set across a stunning and fully interactive five-acre site, the centre protects and preserves the unique history and heritage of the beautiful Forest of Dean. 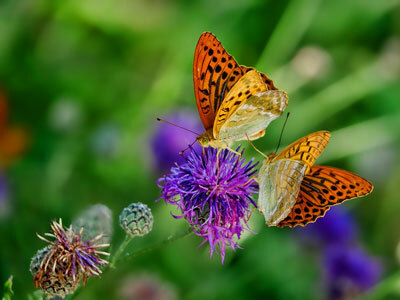 See butterflies from around the world at this indoor butterfly zoo. It’s tropical and it’s teeming with exotic butterflies. Join us for a day of clay-pigeon shooting, archery or air-rifle shooting. 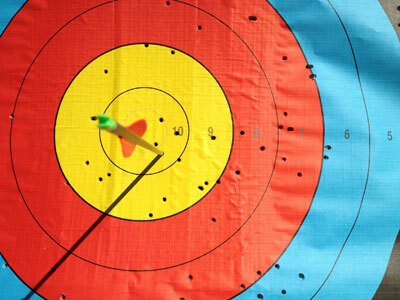 From absolute beginners and those who just want to have a go, through to practised shots who wish to hone their skills, our friendly, qualified and experienced coaches will guide you every step of the way, making your time with us enjoyable and fun. 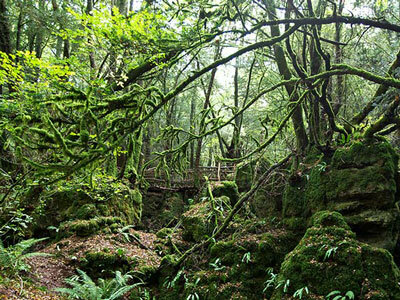 Puzzlewood is a unique and enchanting place, located in the beautiful and historic forest. Explore a mile of meandering pathways, with its fantastic tree and rock formations, through this ancient 14-acre woodland. It has an atmosphere quite unlike any other wood you have visited. 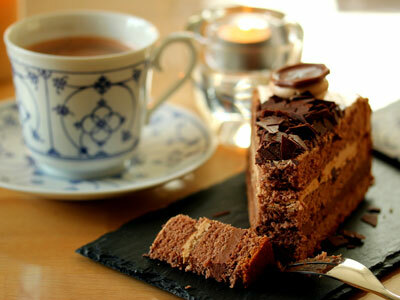 Hot Pot Pottery is a cosy, country tea-room and pottery gallery offering home-made cakes, freshly prepared lunches, comfortable seating inside (we have sofas and a lovely wood-burner) and outside (in our pretty courtyard) and Pottery Trial Classes and Pottery Painting. For all levels from beginners to juniors and professionals, we offer the full off-road driving experience. 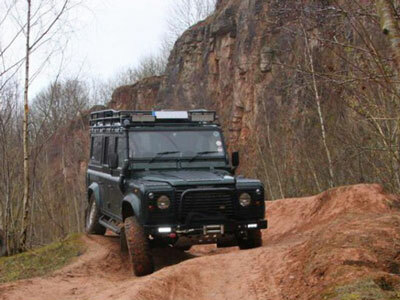 Corporate events or just a fun day out with friends – go off-road with us. Nature in Art is the world’s first museum and art gallery dedicated to fine, decorative and applied art inspired by nature. This unrivalled collection is housed in a fine Georgian mansion, featured in Simon Jenkins’ book England’s 1000 Best Houses, just outside the famous cathedral city of Gloucester.